Updated on April 8, 2019 to include information about Clean Water Act violations in Harris County based on Bayou City Waterkeeper’s analysis of EPA data. Last week, the Intercontinental Terminals Company (ITC) polluted local air and water with a massive fire at its Deer Park chemical storage facility — something of a habit for the company. In 2018, ITC discharged cyanide into Tucker Creek, an impaired water along the Ship Channel, eight times above the levels set by its state-issued permits — once as much as 1,138 percent above permitted limits. According to EPA data, at its now-infamous Deer Park facility alone, the company violated the federal Clean Water Act six of the last 12 quarters. Over the weekend, the Texas Attorney General filed a lawsuit against ITC for its latest set of environmental violations that resulted from the fire in Deer Park. The lawsuit prompted Texas Governor Greg Abbott to tweet: “Polluters will be punished.” But in our state, polluters far too often go unpunished. The example of ITC suggests that when left unpunished, polluters may go on to create disasters that could have been prevented. The EPA’s publicly available data shows that like ITC, 143 other entities in Harris County violated the Clean Water Act in at least six of the last 12 quarters since January 2016. A jaw-dropping 10 had Clean Water Act violations in every quarter over the last three years. Four of those ten facilities have not faced an enforcement action, formal or informal, for their legal violations. Facilities owned by familiar names like Arkema, Dow, Exxon, Shell, and Chevron also exceeded their clean water permit limits in 2018. Each of these violations offers an independent opportunity for enforcement by our state’s top legal office. But as the ITC’s history of legal violations shows, our state allows environmental violators to continually disregard environmental laws without real repercussions. According to EPA data, ITC’s now-infamous facility faced a formal enforcement action only once over the last five years, despite its repeated water violations. It resulted in a $18,300 fine. In the case of ITC, the Texas Attorney General could, and should, have acted much sooner. In the case of other repeat violators, our state’s chief enforcer must view the ITC fire as his call to broader action. Paltry fines are not enough to force habitual offenders like ITC to clean up their act. As the Houston Chronicle has reported, a chemical explosion, fire, or toxic release occurs every six weeks in the greater Houston area. We should not have to regard this as a normal part of life. Rather, we must view this as a failure by our state to enforce the laws it has a duty to implement for the benefit of its residents. 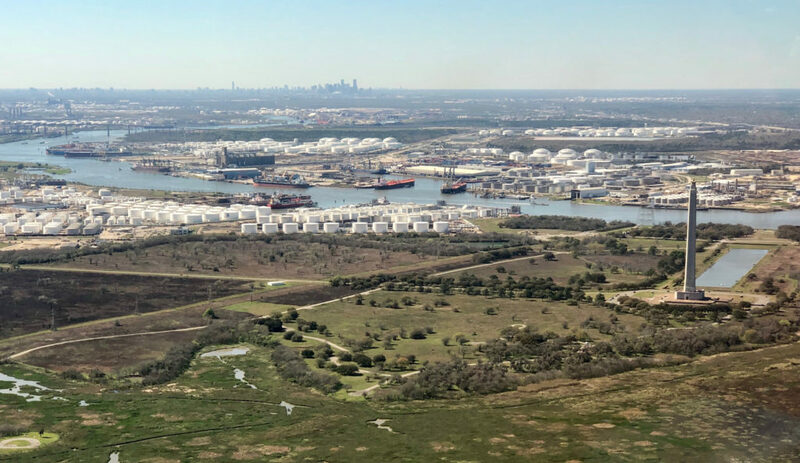 Texas’ under-enforcement of environmental laws along the Houston Ship Channel and our intricate network of bayous has led to a pattern of unnecessarily repetitive legal violations in the Houston area. These unpunished violations affect not just our water, but our air, too; less than 3 percent of air emissions standards violations from 2011-2016 resulted in a penalty from the state, according to a 2017 report from the Environmental Integrity Project. The perpetrators of these disasters harm our waterways and put communities at risk, yet receive slaps on the wrist, at best, and continue on with their business. The only ones facing any consequences are us — those left with dirty water and air. By filing a lawsuit against the ITC, the Attorney General has taken a good first step. But to stop the most egregious polluters in this state from regularly polluting our water and air, the Attorney General’s office also must stop shirking its duty to enforce environmental laws like the Clean Water Act within our state. Only with tougher, more vigorous enforcement to protect its people will Texas force persistent environmental violators like ITC to invest in better infrastructure and hazard mitigation — or force them to do business somewhere else. Unlawful pollution must become the exception, not the rule in Texas. The citizens living at the fenceline of industrial facilities, the responders to these facilities’ disasters, and the people of Houston deserve no less. By Jordan Macha, Executive Director & Waterkeeper, and Kristen Schlemmer, Legal Director of Bayou City Waterkeeper.